This weird looking monstrosity is the SureCall SC306 UHF/VHF antenna. Believe it or not it hooks up to a cellular signal booster. Wait, what now? That’s right, the SureCall Fusion7 and Force7 cellular signal boosters also boost Wi-Fi and HDTV signals within commercial buildings. 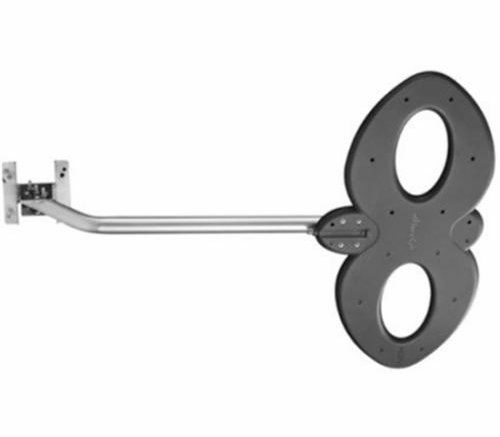 Hook up one TV antenna and it will distribute the broadcast signal throughout the building, making it easier to have televisions where you want them. This antenna is one of the two that SureCall sells for this purpose, but honestly it’s not that special. You can use any TV antenna for this purpose. Save a little money if there’s already a TV antenna on the roof of the building you’re on, or choose the best antenna from the massive selection available at SolidSignal.com. If you’re not sure which one to choose, give us a call at 877.312.4547 or fill out our free recommendation form and our professionals will help you figure out which antenna is best for you. Over-the-air TV is important for businesses, even if you have satellite or cable, because it’s the most reliable form of video and that matters in an emergency. TV antennas aren’t affected by rain or snow fade, and you won’t lose a picture because a tree falls and breaks a TV cable somewhere on the other side of town. They’re a great investment in making sure that your employees are getting the information they need in an emergency. Choose the right TV antenna and cellular signal booster now… it’s easy to shop at SolidSignal.com or call 877.312.4547 for personalized service! We can even arrange for an installer in your area if you don’t have an electrical contractor already. What are you waiting for?